The busiest and most happening area within Delhi is the Chandni Chowk. 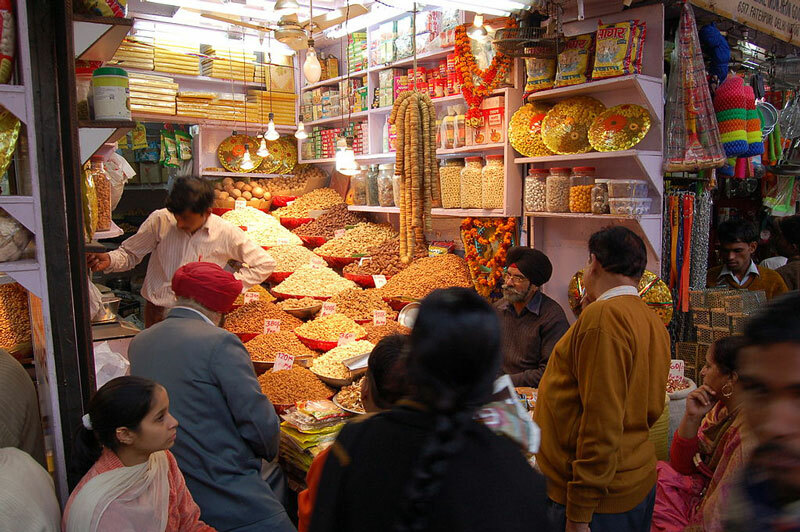 Located right in the center of the city, and just a little distance away from the Red Fort, this market was first set up during the rule of the Mughal emperor, Shah Jahan. He planned the market as part of his kingdom when he shifted the capital from Agra to Delhi. Now the market holds the title of being one of the biggest wholesale market within Asia, and is always crowded with people looking for a wide range of products for an affordable price. Especially famous for its collection of various types and kinds of clothes, this is the place where people gather to shop for any occasion as it also has got every matching accessory. This spot is moreover, famous for the various kind of food which are available as snacks and north Indian treats are also available in plenty within the location. The area is very crowded and busy at all times. Drink enough water to remain hydrated so as to combat the humidity and heat. This is a huge area, so plan in advance the area to be covered to buy specific items. This is the place to go if you need to shop for any kind of occasion. Photograph the vibrant culture of the market place which has one of the most colorful backgrounds that can ever be present. Get some really good bargains at the shops. Try out the amazing collection of sweets like ladoos, jalebis and the wide range of snacks which are sold by the shopkeepers. This is also the spot to buy great jewelry and precious stones which are available in the shops located at Dariba. Visit the nearby places of worship like the Jama Masjid, Central Baptist Church and the Sri Digambar Jai Lal Mandir. The book market sees a wide collection of books which are mostly second hand being sold at really good prices. Guides are available in plenty and can be helpful at times. But if all you plan on doing is just looking around and eating, a guide is really not necessary as the place explains it all. The summers can be scorching and visiting the market during the day time can drain your energy. Try to visit in the evenings as even during the monsoon the humidity level of the city is quite high. The months from October to March are definitely the best time to visit Delhi as the climate is quite pleasant, making the experience totally worthwhile and comfortable. But the place is always crowded at all times, especially during the wedding season, which makes the spot unique indeed. The chowk is a central location which can be reached by a number of means. The metro station has got a stopping for this location owing to its economic importance. The buses do stop every time they pass the location. Situated quite near the old railway station, this place is also reachable by the plethora of share autos, auto rickshaws, rickshaws and cabs which keep running throughout the city. The marketplace was designed by Princess Jahanara Begum, who is said to be the most favorite of the emperor’s daughters. The name comes from the fact that there were canals once constructed to reflect the beauty of the moonlight. Another fact is that the name comes from the prevalence of silver merchants who visited the marketplace. The location has also been featured in many Bollywood movies like Delhi 6 and Chandni Chowk to China. The chowk has been the starting place of many successful brands like Haldiram’s. It has got the places of worships of many religions within it, which reflects its diversity. Chandni Chowk is the perfect place to indulge yourself in getting to know about the culture and heart of the population of Delhi. 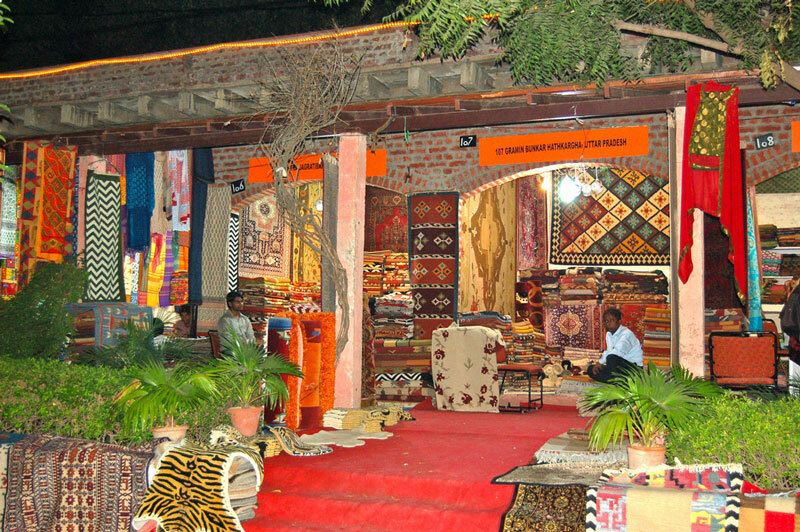 With a wide range of products to buy and bargain from, this spot offers a view into the bustling life of the region. All this makes it a must visit for every tourist visiting the location.